The sun grows more than veggies at Little Ridge Farm in Lisbon Falls. 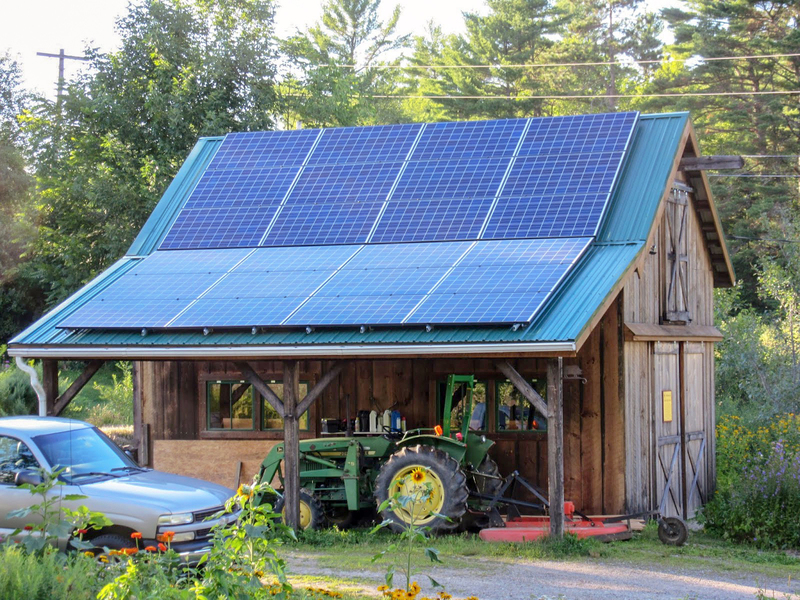 Their 6-kilowatt solar electric array will provide about 100% of the electric needs of the small organic farm, which offers community supported agriculture (CSA) shares and pasture raised pork, beef, and turkeys. Their home also converted from oil for water heating to a super-efficient, stone-lined electric water tank by Vaughn (manufactured in a solar-powered facility in Northern Massachusetts). The solar project benefited from a 30% federal tax credit and USDA REAP grant.